We have over 50+ positive reviews written on Angie's List, Google, Facebook and Yelp! Locally owned and operated in the Houston area! Keeping your windows clean not only gives your tenants and patrons a better view, but it also prevents glass degradation by removing the buildup of damaging pollutants. We can clean windows up to 5 stories high from the ground using our water fed pole, pure water cleaning system. This technology allows us to guarantee streak free results at a fraction of the cost of bringing in a lift or depending on rope access crews. Furthermore, water fed pole is much faster and safer than using traditional tools for cleaning windows at heights. We just had our windows cleaned before our holiday guest arrive. They guys were on time, very professional and courteous. My windows are so clean. I’m going to refer all of my neighbors. These guys are awesome! Great job! Quick and efficient! Sparkling windows and a very respectful and unintrusive crew! Highly recommend this company! We have used Love My Clean Windows for several years & they always do a fantastic job. They are courteous & prompt & windows have never sparkled so much! Dirty windows don't allow as much light to come in your home and makes the view look dull. Get a FREE estimate today to clean your windows! Get your house washed with your windows and save money! Look what a difference we can make to your concrete and bricks! We use a detergent-based process to make them bright again. Get a FREE estimate today to power wash your property! 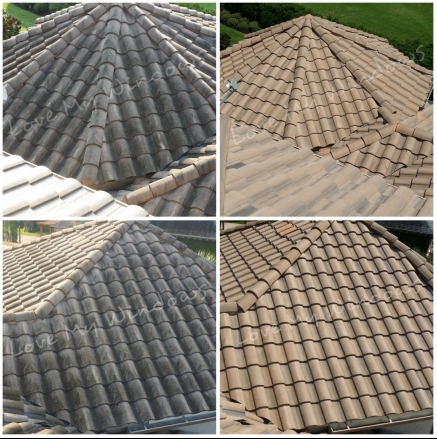 Our Roof Soft Wash Cleaning Process is gentle, yet removes moss, algae (black stains), and environmental dirt. 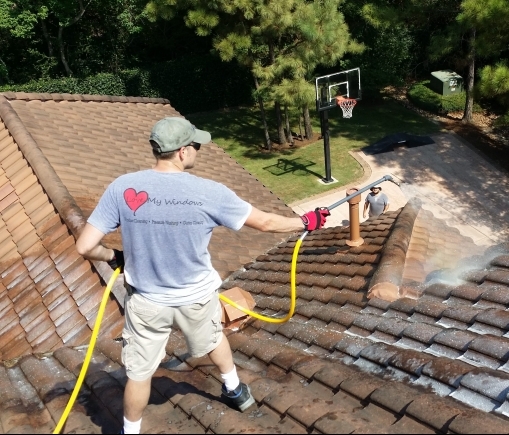 We never use high pressure water on the roof, but our SoftWash process makes it look new again! The black streaks are gone the same day and the moss and lichens are killed in the process. Moss on your roof can cut the lifespan of your roof forcing you to replace it sooner than you have to. Soft washing protects delicate surfaces like vinyl, wood, EIFS and composite siding. Get the results you need without the risk of damage caused by high pressure washing. We have cleaned hundreds of houses, roofs, decks, concrete pads, dumpster pads, and emergency cleanups and we'd love to use our professional expertise to clean your property! We are perfectionists and proud of our work. If you are not satisfied, let us know and we will make it right! We are a local family owned business and serve the Houston, TX and surrounding area. Our team has extensive professional training and a solid skillset to clean your home without damaging it. Dirt and mold take away from the curb appeal of your property making it look old and dingy. 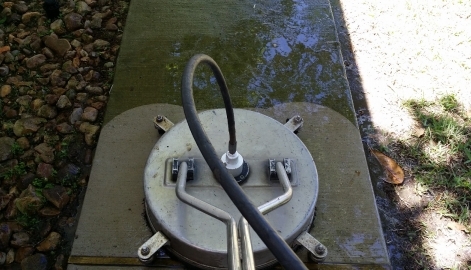 Get a FREE estimate today to pressure wash your property! We service North West Houston and the surrounding area.